Welcome… It’s good to have you back, Bruthas and Sistas. This week, we’re going to take on not only the second half of the Mid-Atlantic legacy. It’s a time when the organization eventually morphed into World Championship Wrestling. It marked one of the strongest runs made by not only a territorial company, but any wrestling promotion to date. The stretch of years between ‘74 and ‘88 at MACW can be held up against the Attitude Era, or early ECW runs on all levels. Quality of content, a dynamic and varied roster, as well as a fanbase that was so into the product, that they put it over on another level made this time a special one in MACW. From the weekly spot at 6:05, to Clash of the Champions and all the way down to Starrcade, and everything in between, we will look at how a company that had everything going for it overreached its grasp, and ultimately came to it’s knees due to financial mismanagement. Let’s pick it up where we left off last time, in the Fall of 1973. As we learned last time, Crockett Jr. had phased out the NWA branded titles in MACW, opting for their own championship belts in the most recognized divisions. In the early Seventies there was one man that had his hand in every title cookie jar that was available in MACW. From the Tag Titles, to the United States Championship, the man from Port Arthur, Texas went after ’em all. Born in the Summer of 1942, during the height of WWII, Paul Fredricks grew up like most Texas kids, consuming all sports whenever he could. During his teen years he focused on boxing and was a member of the Golden Gloves for seven years, winning both the Texas Light and Heavyweight Titles during that time. his hunt for gold was embedded in his psyche early on. A chance meeting with Texas NWA giant Paul Boesch was all it took for the old eagle’s eye to see potential in the youngster. Before he realized it, he was on his way to getting bumped around a ring. He debuted in Boesch’s Houston Big Time promotion as Paul Jones, and quickly started to become noticed as a capable hand. He worked through Tennessee and into Florida before heading over to Australia and working with Jim Barnett in his WCW promotion there. Once he returned his life took on that of a road scholar of wrestling, traveling to Pacific Coast Wrestling, then going through Canada, NWA Hollywood, and across the pacific to compete in All Japan Pro Wrestling. All this was in just a seven year span of his early career. After a short first stint in MACW and then a return trip to CWF that lasted until 1972, Jones finally came back to the Carolinas. Over the next year and a half he would win every title that MACW had to offer. He fell right into the Mid-Atlantic Tag Team Title hunt with Bob Bruggers, when they beat The Andersons, better known as the Minnesota Wrecking Crew, for the belts in April of 1974. After losing the titles back to them while he was partnered with Tiger Conway Jr., Jones moved over to the Television Title front and battled The Russian Bear over that belt for the duration of the year. A native of Montreal, Quebec, Canada, and also born in the Summer of 1942, Oreal Perras was one of ten children and an avid fan of professional wrestling by the time he was eight years old. He followed his dream when he graduated school, and started his training under Jack Wentworth in Hamilton, Ontario. 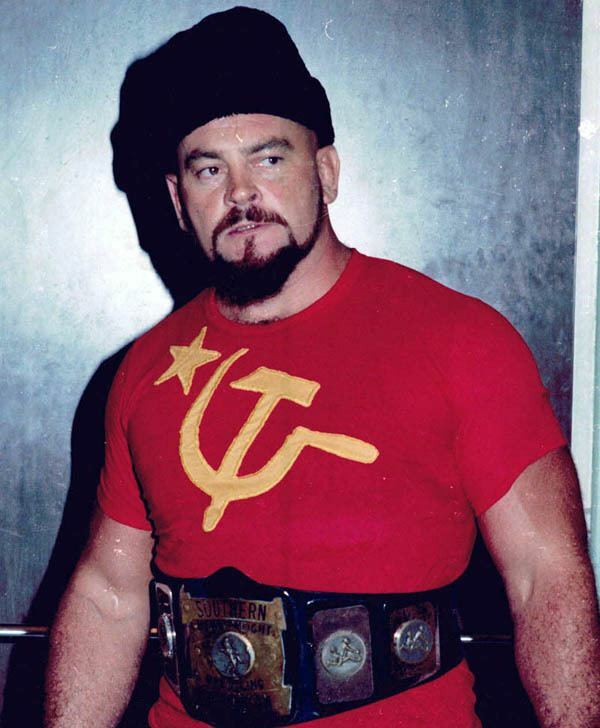 When he traveled to the International Wrestling Association, he became the Russian heel that we all have come to know him as; Ivan Koloff. He worked the WWWF, and eventually made his way to MACW in 1974. 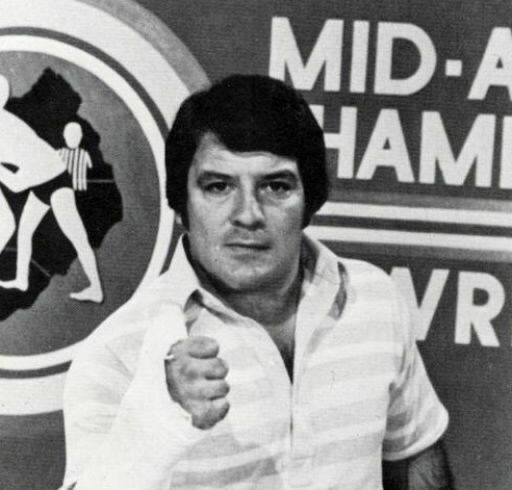 He won his first Television Title only a few months later in May, and his feud with Paul Jones started. Koloff turned his attentions to the U.S. Title after let his feud with Jones go cold for a few months, and at the same time he began to form his own heel unit of fellow communists, from Mother Russia. 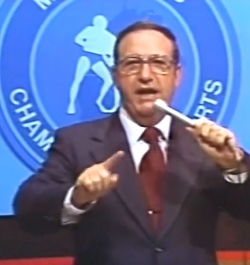 In February of 1975, Jones was beaten by a young man that had came down from the Minnesota territory, and had been broken into the business by Verne Gagne. Before he was known for the wooo’ing, womanizing, wildman that ruled the roost in years to come, Flair was a bulked up, bruiser of a worker that was more likely to punch and stomp you to the mat as opposed to strutting up and delivering a well timed eye poke. He found his first taste of singles gold by defeating Jones for the Television Title in February of 1975, only a year after he arrived in MACW. He had gotten to see tag team gold with Rip Hawk when they defeated the team of Jones and Bruggers for the Mid-Atlantic Tag Titles the previous year at a 4th of July event at the Greensboro Coliseum. There were two other men that need to be mentioned, who during this time, gave both Paul Jones and Ric Flair problems on several different title fronts. One of the things that made MACW such a great stand out and eventually a stand alone in the wrestling business was the ability for it’s top level guys to transition between different titles to not only keep their runs fresh, but allow other workers on “streaks” to make the most out of their runs and achieve the premiere titles, and the paydays that went along with them. The first of these two men actually arrived in the territory ahead of all of them, but it wasn’t until the end of his career that he showed up in Charlotte to pick the vacant title after Jerry Brisco left to work a run in Japan. John Wisniski was born Maple Valley Washington in the Fall of 1928. Much of his early life is not fully documented, and it was said to have been a very tumultuous time for the young boy. Wisniski married in the early Fifties and later had a son, Greg, with a woman in Seattle, Washington in 1951. We will be talking more later about his son, but at this time John was working his way through the NWA circuit and making a big name for himself along the way by holding titles across the United States. He wrestled under the name Johnny Valentine, and worked both heel and face during his early career. It’s said that he was presented the Mid-Atlantic Heavyweight Championship, without a formal vacancy being announced. He traded the title with Jones during the month of March in 1975, but it was the man we spoke of previously that took that belt from him and cemented himself as a major player in the title landscape of MACW. Edward “Wahoo” McDaniel grew up in various towns in Louisiana and Texas, as his family moved along with the strikes in the oil towns that ran throughout the area. 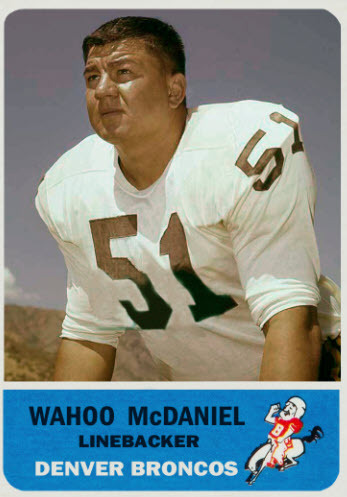 They finally settled in midland, and once Wahoo was old enough he followed the Texas dream of playing Pro-Football to the University of Oklahoma, and then on to several different NFL and AFL organizations. Like most other football players during those years, Wahoo supplemented his off-season and sometimes on-season salary by moonlighting in the wrestling ring. McDaniel followed his power linebacker position from Houston and Denver to New York, and Miami until he was eventually traded to San Diego, though he never played one down for The Chargers. He had worked for the Funks, Vince Sr., and Eddie Graham along the way, perfecting his wrestling as his football career waned. 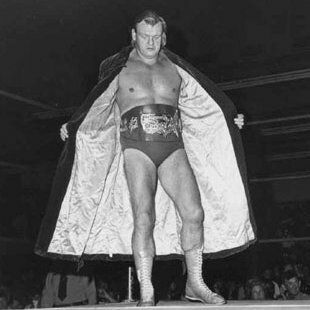 He arrived in MACW in 1974 and immediately set his sights on the Heavyweight Title, and the man that held it; Johnny Valentine. The two fought for months before Wahoo was finally able to take the belt from him on July 19, 1975 in Asheville, North Carolina. He then feuded with Ric Flair in some of Flair’s bloodiest matches next to his war with dusty Rhodes. The two men traded the title five times over the next year and a half, with their battles overlapping another crucial time in the history of MACW, and one that nearly killed several of the promotions headlining stars. Let’s talk about the incident that has been often simply referred to as “the plane crash”. On the evening of October 4th, 1975 Jim Crockett Jr. had chartered a small Cessna airplane to take himself, his brother and announcer David, Ric Flair, Johnny Valentine, and Tim Woods from Charlotte to Wilmington, NC. Bob Bruggers, needed to get from his home in SC to the same event and Crockett Jr., who was sick with the flu, told Bruggers he could have his seat on the short flight. 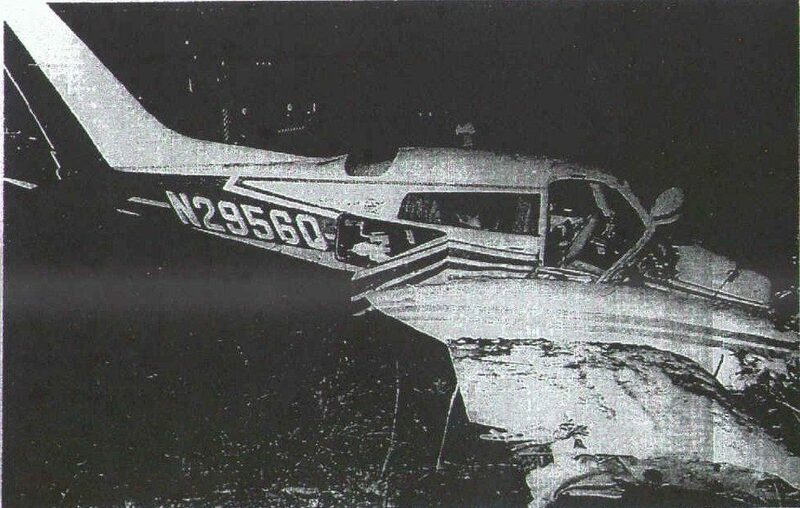 Bruggers agreed and that evening the five men took off from Charlotte with pilot, Mike Farkas at the controls. In order for the overweight plane to be able to take off, the pilot opted to drop some of the fuel in the tanks. Just as they passed over the Cape Fear River the plane began to shudder and the engines spun, and pegged to a stop. The plane had ran out of fuel, and plummeted to the ground. David Crockett was lucky and only had minor injuries, but the rest of the men were lucky to be alive. Bruggers suffered a broken back and ankle, and had to have steel rods implanted in his spine, and he was never able to wrestle again. Valentine also suffered a broken back, along with the other survivors. He had a bone fragment embedded in his spinal column and was never able to return to the ring fulltime again, even though he had a short run as a manager in Houston. After a fall off his porch in 2000, he slipped into a coma from the complications of his injuries and died a few months later at the age of seventy-two. Tim Woods returned from his back injury to continue to compete, as well as Ric Flair, who broke his back in three places and was told he would never wrestle again. Flair proved them all wrong when he returned to the ring less than a year later to continue his feud over the Mid-Atlantic Heavyweight Title with Wahoo McDaniel. The pilot, Farkas, slipped into a coma due to his spinal injuries and died the following year. The NWA World Tag Team Titles were heating up in the Mid-Seventies as well and were virtually owned by The Minnesota Wrecking Crew, Gene and Ole’ Anderson, for most of that time. While both Jones, and McDaniel tried to capture it with different partners, it wasn’t until Greg Valentine was hired on at MACW in 1976 to replace his father, that the Wrecking Crew saw their first real dangers to the title surface. The man that would become The Hammer got his training from Stu Hart and made a lackluster debut against King Kong Mosca, that saw him lose in under five minutes. He went to Detroit and took his father’s famous last name, even though he really wanted to try and establish a career under his own abilities, and not just be seen as the son of a legend. He went established a hard hitting style that earned him not only his nickname, but several titles along the way. After he ended the career of Johnny Weaver in an angle, he began to put his elbow drop over as a deadly move with pre-match videos showing him breaking boards with the move. The Hammer was born, in character, if not yet in name. He aligned with Ric Flair and they took the fight to The Wrecking Crew, and won the titles from the first time the day after Christmas in 1976, in a storyline where they beat Gene so badly that he had to be carried out on a stretcher. The Crew regained them a month later after beating Valentine and Flair in a brutal steel cage match in Charlotte. The team of Flair and Valentine took the belts from them a second time the day before Halloween, 1977 but were forced to vacate them the following April due to continued disqualifications. 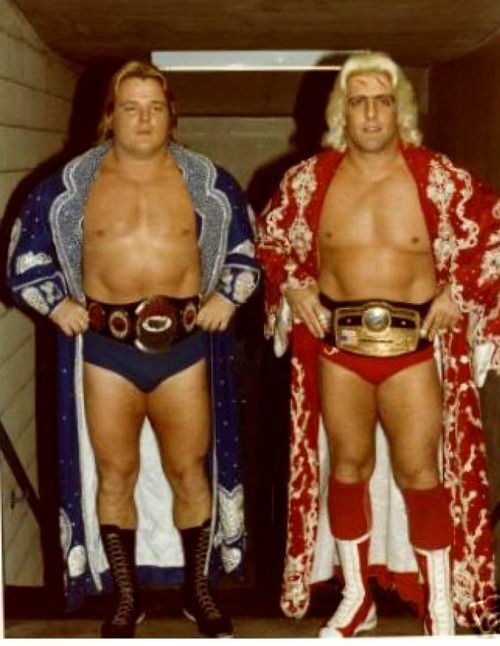 During this time he and Flair both challenged Wahoo for the Heavyweight Title, with Valentine trading that belt back and forth three times in 1977. In the famous match in Raleigh, NC., Valentine won the title in a match where he broke Wahoo’s leg in their storyline. Valentine got alot of heat from this match and started to wear a t-shirt that read “I broke Wahoo’s leg” to fully capitalize on the angle. While all this was happening a new face emerged into the company the Spring of that year, and his instant chemistry with Ric Flair would bring the two together for some of the most spectacular moments in not only MACW, but in all of wrestling. Richard Blood was born in West Point, New York in February, 1953. He debuted in the AWA under his real name but it was during his time in CWF that he took on the familiar name of Ricky Steamboat. Paul Jones and Wahoo told the JCP booker, George Scott about the fiery youngster that they had met in Tampa, recommended he get Steamboat on the JCP payroll as soon as possible. Scott listened and brought him up to Charlotte toot sweet. Steamboat immediately found chemistry with Ric Flair and the two battled over the Television Title with the new arrival takin the belt off Flair in June of 1977, not long after his arrival. The two clicked in the ring and were perfect foils to each other with Flair being the flamboyant, care-free type to counter Steamboat’s quiet, iron-willed demeanor. Both men were capable of takin each other to the distance and raising their games to meet the challenge set. He formed a strong tag team with Paul Jones in the late Seventies and the two saw gold in both the Mid-Atlantic rankings as well as the NWA World Tag division. The two went against the team of Ric Flair and Big John Studd for the Mid-Atlantic Tag Titles on and lost after holding the titles for nearly a year. The regained them only a month later but Big John had made people stop and take notice. We will come back to the Big man when we get to the New York portion of our series. 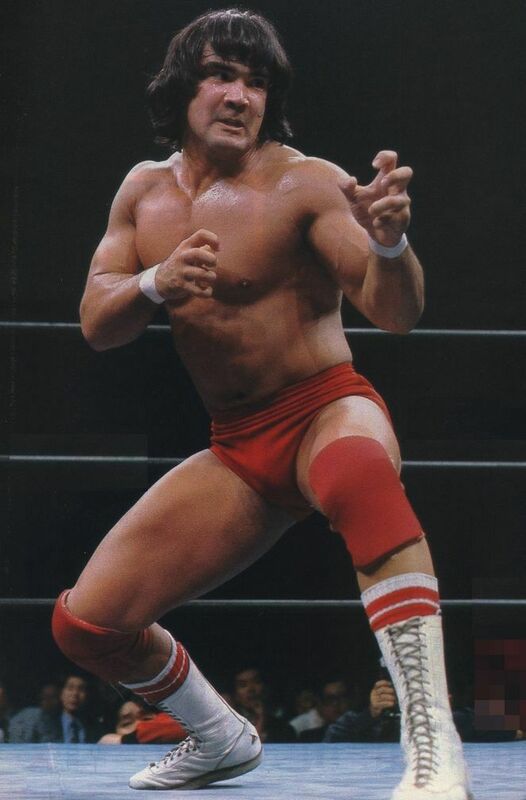 Paul Jones turned heel on Steamboat, and began to stalk and assault him at television tapings and live events to further their story. This allowed them to bring in Ricky’s friend and former tag partner in CWF, Jay Youngblood. Once the two were back together they were off and running. Even with his old friend to back him up, Jones and his new partner, Baron Von Raschke went after the pair in the tag division as well as in singles competition as their feud boiled over. The United States Championship was battled over during the late Seventies by Flair and Steamboat for nearly two years in ’77-’79, with only a 3 month period where they weren’t in the hunt, with Tim Woods and Blackjack Mulligan keeping it warm for them in the interim. Jimmy Snuka held the belt as the promotion rolled into the Eighties. Jones, living up to his heel persona, also turned on the Baron and started to tag with The Masked Superstar. The two feuded with the team of Ivan Koloff and “Crippler” Ray Stevens, before losing their titles back to the Wrecking Crew, who had returned from GCW in early 1981. The Masked Superstar teamed up with his protege’ Masked Superstar II, which was Big John Studd working under the mask. 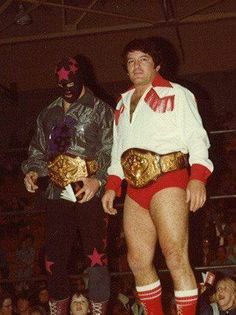 They took the Mid-Atlantic Tag Titles off of the pairing of Steamboat and Dino Bravo, who had came into the territory in the Mid-Seventies, and won his first MAT Championships with Tim Woods back in 1976. The titles were vacated when the Masked Superstar left the area in 1980, as well as the Television Title he held. We will see all three men again in future episodes of Territories. In November of 1980, Steamboat won his first Mid-Atlantic Heavyweight Championship when he beat The Iron Sheik for the strap in the Charlotte Coliseum. He lost the belt to Ivan Koloff in April of 1981, and the two worked most of that summer and into the fall when Steamboat regained the belt in October in Greensboro. 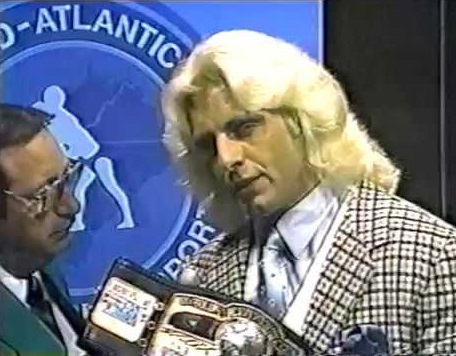 It was during this time that Flair adopted his Nature Boy character, and really became the worker we know today. Due to the complications of his broken back he was not able to work the harder hitting style that he was known for before the crash. He began to use ring psychology and worked not only his opponents but the crowd to a point that they wanted to kill him…..it was at that moment that he had them all in the palm of his hand. Seeing a great heel worker is one of the singular, most wondrous things to witness. It’s a dance of emotions that is led by the heel and we all dance to their footwork. Flair was becoming one of the best at evoking the emotional response he chose to manipulate from one whim to the next. He used his version of the Nature Boy gimmick to incite the “real” Nature Boy Buddy Rogers into a fight, and Rogers did him the service and gave him the rub, putting him over. This was wrestling code for the passing of the torch so to speak. Flair was then and forever more The Nature Boy….Wooooooo!! He was not quite yet the fully polished Naitch that we know and love though. As the Eighties started up, he would bring together all the tools he needed to set the pieces of the puzzle into place. It would be the acquisition of Ten Pounds of Gold, and a stable of Horsemen that would allow him the muscle and star power to style, and profile. The early Eighties were indeed the owned by these men of MACW, and they built a dynasty on their cache’ and economic prosperity that they would breathe into the company. Well Bruthas and Sistas, I believe that’s a big a bite out of this that we need to try and swallow this week. Even though it is Shark Week on the cable and I’m overly ravenous at the moment, hahahaha. Next week we will continue our look at MACW, and the new cast of characters that continued to pour into the company as it started to overtake McMahon, and gave Jim Crockett Jr. the hopes of his own national expansion. We still have alot to talk about ya’ll, so be sure you come back for Part III of this saga as we continue to study the history of this great business….because as we know; Our wrestling is history is gold Bruthas and Sistas…DIG IT! !